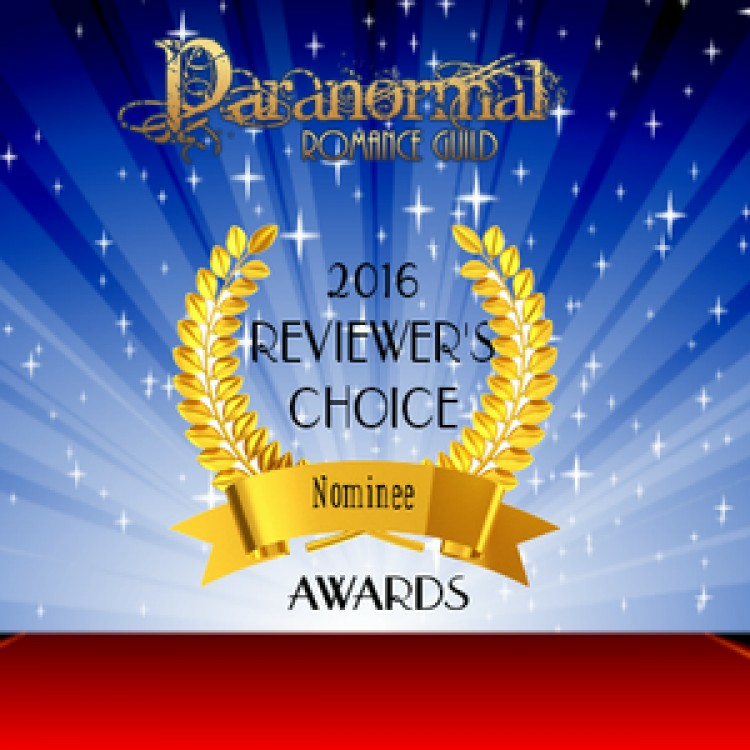 Congratulations to Dreamspinner Authors who won awards in the 2016 Paranormal Romance Guild Reviewers Choice Awards! Since the death of their mother, Josten Applewhite has done what he’s had to do to take care of his little brother and keep their small family together. But in an instant, a stroke of bad luck tears down what little home he’s managed to build, and Jos and Isaac end up on the streets. That’s were Officer Kip Rogers finds them, and even though he knows he should let the proper authorities handle things, he cannot find it in his heart to turn them away, going so far as to invite them to stay in his home until they get back on their feet. With the help of Kip and his friends, Jos starts to rebuild his life. But experience has taught him nothing comes for free, and the generosity seems too good to be true—just like everything about Kip. Kip’s falling hard for Jos, and he likes the way Jos and Isaac make his big house feel like a home. But their arrangement can’t be permanent, not with Jos set on making his own way. Then a distant relative emerges, determined to destroy Jos’s family, and Kip knows Jos needs him—even if he’s not ready to admit it. Artist Arik Bosler is terrified he might have lost his creative gift in the accident that left his hand badly burned. When he’s offered the chance to work with renowned artist Ken Brighton, Arik fears his injury will be too much to overcome. He travels to Pleasanton to meet Ken, where he runs into the intimidating Reg Thompson. Reg, a biker who customizes motorcycles, is a big man with a heart of gold who was rejected by most of his family. Arik is initially afraid of Reg because of his size. However it’s Reg’s heart that warms Arik’s interest and gets him to look past the exterior to let down his guard. Liam Grady is the owner of the Feathered Quill, a quirky little bookstore in Asheville, and—though he doesn’t realize it yet—a dream walker. His last relationship failed almost a year ago, and he’s not had the interest or nerve to pursue anyone he’s met since. Cameron Danu is a tattoo artist from rural Georgia. Cameron is left without a job after his boss, José, is forced to close the shop after a heart attack. When Cameron learns José has set up an interview for him at a small tattoo parlor in Asheville, he hopes for a fresh start in a new town. Fate brings Cameron and Liam together, and they realize they’ve met before—in their dreams. A chance encounter and a winged tattoo might lead them to their destiny—if fear doesn’t turn their dreams into a nightmare. Love and trust made them soul mates, but destiny might have other plans. Ever since Drake Carpenter fell in love with warlock Mason Blackmoor, his life has been one supernatural battle after another, but Drake doesn’t mind… much. To be with Mason and experience the magical connection they share, Drake would face entire hordes of vampyren, shifters, or fae—and he has. Luckily Drake is immune to magic, though no one can explain his natural ability to negate almost any enchantment. With Drake’s own family gone, Mason is all he has. So why is Drake experiencing disturbing dreams about Mason that terrify him? A new threat looms on the horizon, and a revelation about Drake’s identity and the true origin of his bond with Mason shatters everything Drake believes. If Drake, Mason, and all of magic are to survive the coming Spell Fall, the most destructive curse in sorcery, Drake must deal with the truth and fight his way back to Mason—because their enemies are gaining strength, and they intend to reach the boy Drake loves first. Fredrik is back from college and trying to stay out of his power-hungry brother’s way, until his brother takes a prisoner for his pleasure. Unable to tolerate his family’s cruelty, Fredrik overcomes his fear to help her escape back to her pack. There, he meets Christopher, and their instant attraction tells him Christopher is the one. However, since the threat of his brother remains, Fredrik is reluctant to pursue a relationship. Christopher is still figuring out his place in the pack and has been living on his own to avoid making waves with his brother, Mikael. Now he’s met his soulmate, and he’ll do anything to take care of his love, including rejoining the pack. With coaxing, Fredrik accepts his feelings, and Christopher’s pack gives him the home he’s never had. But Fredrick soon realizes he should keep running. His brother is on his tail and will stop at nothing to obtain the power he craves, especially when he realizes the source of the power could be Fredrik himself. Angel Daniels grew up hard, one step ahead of the law and always looking over his shoulder. A grifter's son, he’d learned every con and trick in the book but ached for a normal life. Once out on his own, Angel returns to Half Moon Bay where he once found… and then lost… love. Now, Angel's life is a frantic mess of schedules and chaos. Between running his bakery and raising his troubled eleven-year-old half brother, Roman, Angel has a hectic but happy life. Then West Harris returns to Half Moon Bay and threatens to break Angel all over again by taking away the only home he and Rome ever had. When they were young, Angel taught West how to love and laugh, but when Angel moved on, West locked his heart up and threw away the key. Older and hardened, West returns to Half Moon Bay and finds himself face-to-face with the man he'd lost. Now West is torn between killing Angel or holding him tight. Enthusiastic, play-it-safe Kelly Sutton is an American intern at the Photonic Royal Society in New London. He’s been working on Project Mars for over a year, a mission kept so secret by the society even Kelly doesn’t know exactly what it is. What Kelly does know is his contribution to the task will benefit mankind, and that’s enough for him. Kelly’s world turns upside down when concerns over his mentor's behavior lead Kelly to investigate and stumble upon a wicked truth. What is supposed to be a project to advance human life turns out to be an endeavor capable of mass destruction. The terrifying reality forces Kelly to choose between looking the other way to keep his job, as he’s always done, or risking his career and even his life to do the right thing by saving the man who’s captured his heart. Since ancient times, humankind has looked into the night sky and wondered: Are we alone? Are there other civilizations beyond the stars? Will we ever encounter these beings? Who are they, what are they like, and what might they want with us? These questions are about to be answered, but those who discover the truth might wish they had never asked. On the other hand, some might find salvation in visitors from other planets. For while some aliens are hostile, others are benevolent. Some have little in common with humans, but for others, the need for love and acceptance is universal. Lives will intersect and otherworldly passions will ignite as four acclaimed authors of gay romance explore first contact—and where it can lead. In Carlisle, Pennsylvania, a dedicated team of law enforcement officers, firefighters, and social service professionals work to ensure the safety of the most vulnerable members of society. But sometimes these courageous men can’t see that the hearts most in need of healing are their own. While protecting those who need them, they learn romance can come from unexpected places, and that no matter how they begin, love and friendship are the ties that hold a community—and a family—together. Cole McGinnis Mysteries by Rhys Ford. THIRDS exists to uphold the law for Humans and Therians without prejudice. During the Vietnam War, biological warfare spread the Melanoe virus, infecting millions worldwide and changing the course of human history forever. The vaccine, Eppione.8, created using strains from animals immune to the virus, activated a dormant mutation within the virus that altered human DNA and gave birth to a new species: Therians. In an attempt to restore social order, the US government put new regulations and laws into place, along with a Therian branch of government. In 1990, Human and Therian legislators launched the Therian-Human Intelligence, Recon, Defense Squadron, aka the THIRDS, now a worldwide organization. An elite, military-funded agency, THIRDS units are comprised of an equal number of Human and Therian agents. But THIRDS agents are more than a team—they’re a family through thick and thin, and along the way, some find true love. While every day brings dangers and challenges, one thing will never change: standing up for what you believe in and protecting the people you love is never optional. Lightning. Ice. Fire. Shadow. Stone. In Havenbridge, Massachusetts, the Blackmoor family of warlocks and their allies command forces of immense power. But they’re not the only magical family—or magical creatures—in the community. And they are not without enemies, including shadow weavers, vampyres, and a secretive governing body. Standing with the Blackmoors against the threats to both human and magical societies alike are witches, wizards, and fae warriors, each with unique and impressive abilities. But in a world where it’s hard to know who to trust, they’ll discover that love is the most formidable power of all. Yellowstone Wolves Series by Dirk Greyson. Middle of Somewhere by Roan Parrish.